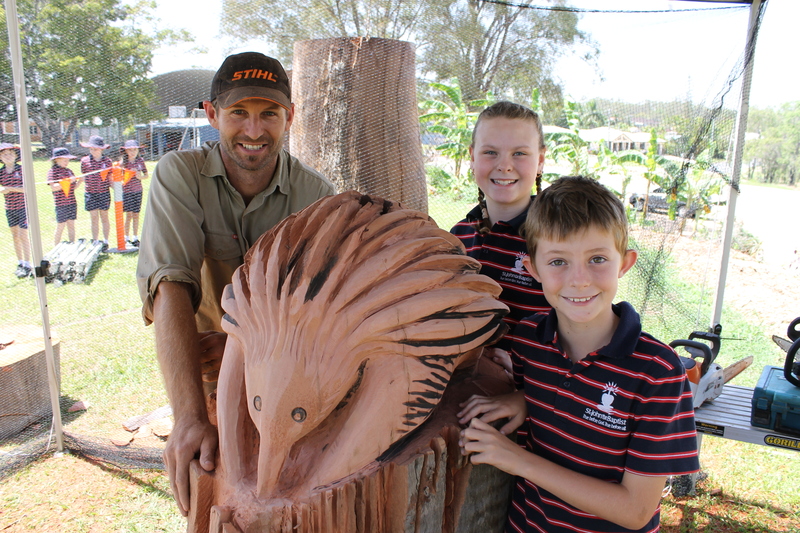 Renowned woodcarving artist and sculptor, Shane Christensen from the Sunshine Coast has been visiting St John the Baptist Catholic Primary School as “Artist in Residence” over the past week. While based at the school Mr Christiansen has been kept busy carving two sculptures using timber purchased from the Benaraby Saw Mill. The unique pieces will be showcased in the school grounds. The completed works will include a decorative beehive carved in the form of an Echidna which will be placed in the nature play area. 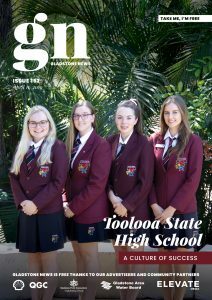 Assistant Principal – Curriculum at St John the Baptist, Kym McAndrew said the unique hive will house Australian Native Stingless Bees that the school are installing. Native Stingless Bees are important pollinators of Australia’s unique wildflowers and are a vital part of Australia’s bushland ecosystems. Ms McAndrew said Mr Christensen was commissioned by the school as part of the school’s arts program. The intricate sculptures will be carved by Mr Christiansen on site at the school, giving students the opportunity to see the artworks come to life. Ms McAndrew said the school was very excited to have Mr Christiansen on site, demonstrating his incredible talent. The students have had the opportunity to view Mr Christiansen’s carving technique using mostly a chainsaw which was fascinating to watch as he works the timber into intricate sculptures.